Stanley Friedman is the former Managing Director and Chief HR Officer for Fortress Investment Group. At Fortress, Stan designed and built a world-class HR function that facilitated the firm’s growth from approximately 550 to 1100 employees and approximately $26 billion to $56 billion in AUM. While overseeing HR for the public entity, he was also directly involved in each of the standalone funds where he was directly involved in C-suite recruitment, reorganizations, resolving operational issues and communication strategies for portfolio companies. He also coached senior investment professionals on how to lead and manage when taking the CEO seat at portfolio companies. Most recently, Stan was Director of HR, Facilities and Administration for King Street Capital a primarily distressed debt and credit focused hedge fund with approximately $22 billion in AUM. Prior to Fortress, Stan was Global Head of HR for Amaranth, a global multi-strategy hedge fund with almost $10 billion in AUM at its height. He facilitated the growth of Amaranth from $4 billion in AUM and 225 employees to 425 employees globally with approximately $10 billion in AUM. Prior to Amaranth, Stan served as a senior HR generalist supporting various business lines within the Credit and Rates division of JP Morgan Chase. He joined JP Morgan, prior to the merger with Chase, from GE Capital where, over 7 years, he was a senior HR generalist at FGIC and GE Private Equity. 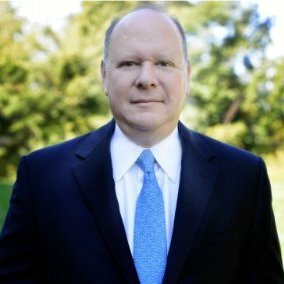 Prior to GE, Stan founded and was Principal of Strategic Recruiting Group, which provided retained search services on a contingency basis and consulting services to entrepreneurs. Stan has been a speaker and guest panelist at numerous industry events, an adjunct professor teaching management courses at Baruch College and currently serves as a member on two advisory boards.